From lapel pins to cremains jewelry, these accessories can help honor loss with something tangible — and beautiful. I read this article and found it very interesting, thought it might be something for you. 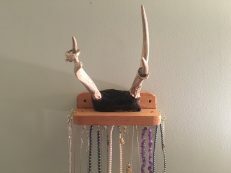 The article is called Grief-Inspired Jewelry and is located at http://modernloss.com/grief-inspired-jewelry/. When my mom died, the one thing I kept of hers was her jewelry — and, damn, is there a lot of it. I sat on the couch rifling through gemstones and chains and rings and brooches, which now live all over my apartment. Some pieces are pinned to peacoats for winter wear. 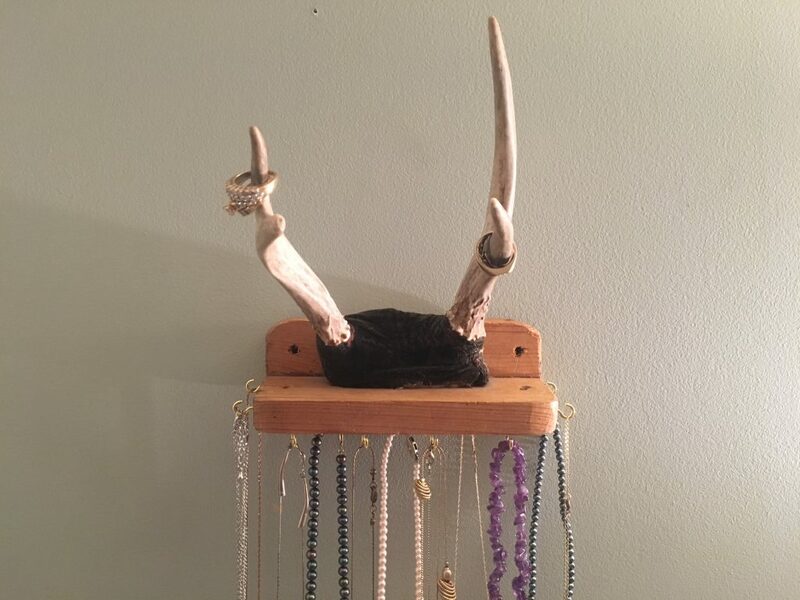 Some are on a taxidermy jewelry tree my fiancé made me. Some are still shoved into plastic freezer bags in my dresser. Though we might not wear or look at it every day, jewelry can hold special significance when we lose someone. It’s tangible — something we can touch and wear and hold. It’s attached to defined memories — the necklace someone always wore when dressing up, a bracelet you gifted for an anniversary. And often, it’s beautiful — yes, even the single wooden parrot earring with the paint peeling off that my mom kept. In April 2018, a year-and-a-half after my mom died, I created Dead Moms Club lapel pins to commemorate lost mothers. This outward expression of grief connects me with others who have lost their moms, and helps me celebrate my mom’s beautiful life and memory every single day. 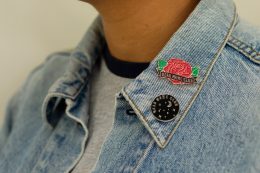 There are two pin designs: Starry Night, inspired by what I’d consider to be some of the hardest moments in grieving: when your questions, the universe, and your loss feel too big; and Floral, inspired by the need for a floral token of remembrance that would keep its color long past Mother’s Day and the birthday anniversaries we might not buy bouquets on anymore. I’m hardly the only one who finds meaning in this work. 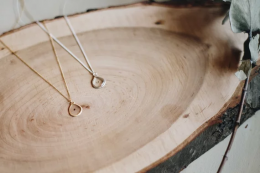 Here are the stories of others who have created jewelry companies geared toward those who have lost loved ones, commemorating many kinds of loss. Rachel Roth knows that her customers want to keep their loved ones close to their heart. 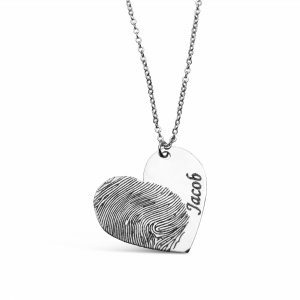 By using a lost loved ones’ fingerprint or handwriting, her pieces (made of sterling silver, gold-filled, or rose gold-filled) also help people honor their late loved one’s individuality. “[It] is especially personal and intimate,” Roth said.“No one else in the world will ever have the same fingerprint or handwriting, so to always keep that with you is such an amazing way to remember someone,” Roth said. After her grandmother died, Angela Kirkpatrick was gifted a string of her freshwater pearls. “I realized that having an object that you can hold in your hand, wear, or look at it that contains a part of their physical being does help you find some solace, even years later,” Kirkpatrick told Modern Loss. When she asked a neighbor, who is a silversmith, to help her turn those pearls into bracelets, the process sparked Angela’s own interest in creating a line of jewelry. Her line of Victorian-styled keepsakes harken back to a time when memorial pieces incorporated physical reminders of the deceased. For custom work, Kirkpatrick can collect hair, teeth, or ashes to include in custom necklaces, hair pieces, or rings. “It is really good just to be able to allow people to unburden themselves a little bit by being able to express their grief and love through telling those stories and sharing their feelings,” she says. Starting Wisp Adornments has resulted in many incredible relationships with clients that seek not only a tangible representation of someone they love but also emotional support in their grief. Amy Ostropolec started Seeded Hope in response to her own miscarriages. Her company was founded on gifting something beautiful that she knew would speak to the kind of hopelessness, helplessness and sadness she felt on her journey. Her necklaces feature tiny seeds (mums and forget-me-nnots) and have been sent to women all around the world, and though she recognizes the larger impact of her work with clients around the globe, Ostropolec also focuses on the micro impacts she makes. For those of us who have ashes on the bookshelf or locked away in a closet, it could be special to literally carry your loved one around with you in a beautiful piece of cremation jewelry. It can take many forms and designs — both pieces made from cremated remains and those that hold them. For example, Forever Fused creates glass jewelry that includes ashes in the bracelets, necklaces and pendants. The process, as described on their website: “A small amount of cremation ashes are infused into the molten glass as it is wound on the mandrel creating a beautiful piece of memorial art as unique as your loved one.” And if you’re interested in keeping the pure ashes in a wearable piece, there are options that have removable chambers for a portion of your saved remains— rings, lockets, and even custom portrait urn necklaces. From hearts to hammers to hummingbirds, you can find many different designs to represent the personality of the person you’re commemorating.